LEFT: On each side of the entrance from the car park are engraved blocks set in to the walls. 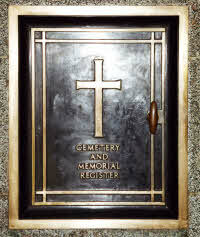 LEFT: A repository for a Cemetery Register of Graves and Memorials in the left-hand gatehouse. 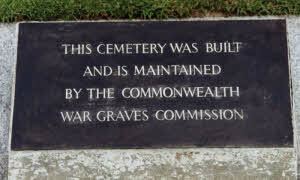 RIGHT: A plaque for the the Commonwealth War Graves Commission. 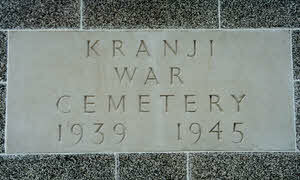 On the right, just before the entrance, is the Singapore State Cemetery.